There are so many options out there when it comes to new car shopping. How can you possibly choose just one ride to dominate your drive time for the next few years? Then mix in the fact that a car is a big financial investment, and now the pressure is really on. However, Toyota of Orlando is here to help make your decision a little bit easier. A knowledgeable buyer is a confident buyer, which is why we’re comparing two of the most popular midsize sedans on the market to help you choose between them. Which would you put in your driveway – the 2019 Toyota Camry or 2019 Honda Accord? Which of these sedans would you put in the driveway? We’re obviously biased; given the choice, we’d definitely take the Orlando Toyota Camry over the Honda Accord. However, we know you want the facts, especially since these two cars do have a lot of similarities. Let’s break it down! Price: Our new Toyota takes the honor in this category. The 2019 model starts at $23,945 and ranges up to $34,700. Its Honda competition starts at $23,720 and ranges up to $35,950. Our new Toyota is a better buy overall – in fact, it was even named 2019 Best Midsize Car for the Money by US News and World Report. 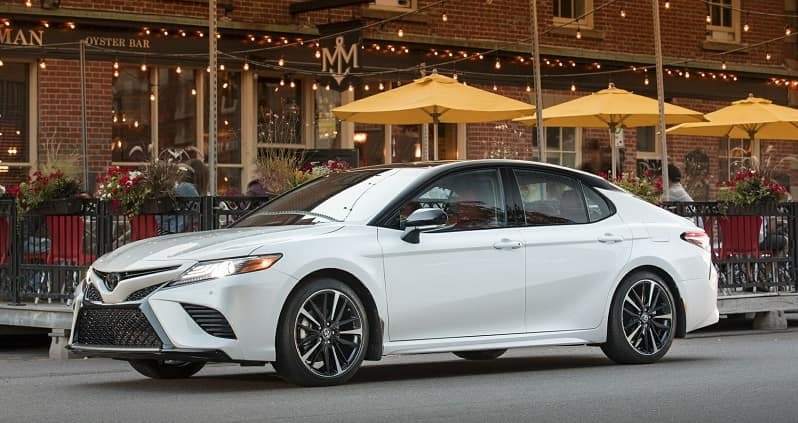 Interior comfort and quality: Both of these midsize sedans offer a comfy and plush interior; however, the 2019 Toyota Camry edges ahead by not incorporating the cheaper plastic pieces that the Accord utilizes in its interior. It’s a small factor, but it makes a big difference in overall interior appeal. Technology: Our new Toyota comes out ahead in this category, too. Although both cars offer a 7″ display touchscreen with Bluetooth and USB ports, the 2019 Toyota Camry offers standard Apple CarPlay, a feature that a lot of drivers have been wanting for the past few years. 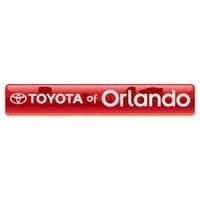 Plus, our Orlando Toyota offers six speakers while its Honda competition only offers four. Performance: We think you’ll prefer our 2019 Toyota in this category because of its get-up-and-go. Both cars come in 4-cylinder and V6 engine options. However, despite Honda’s turbocharged 4-cylinder, it still gets less horsepower than its Toyota counterpart for both engine options. The Toyota Camry also wins when it comes to fuel efficiency, getting 29/41/34 mpg while the Honda gets 30/38/33 mpg. The hybrid model of this new Toyota also comes out ahead with 51/53 mpg while its Honda competition gets 47/47 mpg. Safety: What about safety tech? Again, our 2019 Toyota comes out the winner. It offers a few extra features like pedestrian detection and automatic high beams. 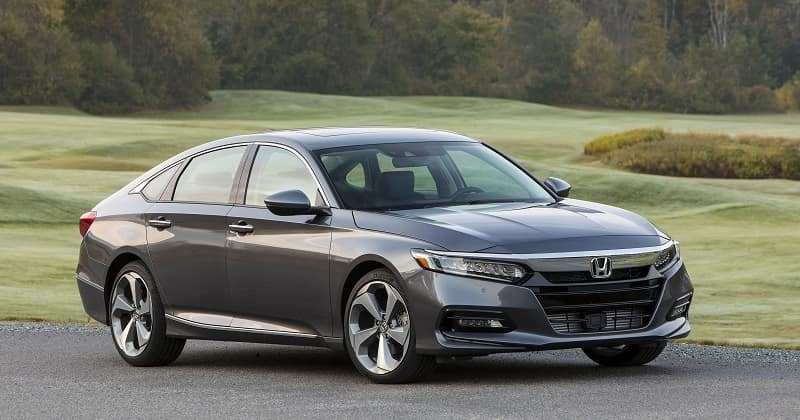 It also earned an IIHS Top Safety Pick + rating for 2019, while the Honda Accord was only rated an IIHS Top Safety Pick (no +). Reliability: And finally, let’s talk about one of Toyota’s most renowned qualities – reliability. The ratings are out from J.D. Power for 2019 yet, but for 2018, the Toyota model earned a 4.5 out of 5 while the Honda competition earned a 4 out of 5. We’ll let you think on that. Ready to shop? Test drive the Orlando Toyota Camry today – call (407) 298-4500 to learn about our deals and set up a test drive, or visit us at 3575 Vineland Road!